Siemens space saving, plug in circuit breakers are intended for use in Siemens EQ, Siemens Ultimate, ITE, and Gould load centers and meter combinations that are rated to accept type QT breakers. Check wiring diagram to confirm. To ensure the warranty on a Siemens panel is not voided, the use of Siemens breakers is required. 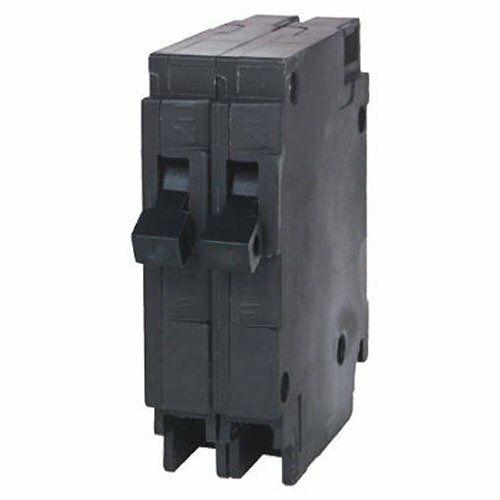 The duplex breakers provide two single pole breakers in the space typically required for only one standard breaker. These duplex, 1/2-Inch frame breakers are ideal when new circuits are required in a panel that has no available spaces. The non-current limiting breakers are designed for use in Siemens panels manufactured prior to 1968. Siemens strongly recommends against the use of "used" breakers. The installation of used breakers in a Siemens panel will void the warranty on the panel. Siemens does not sell used breakers and has not approved any 3rd party sellers to do so.